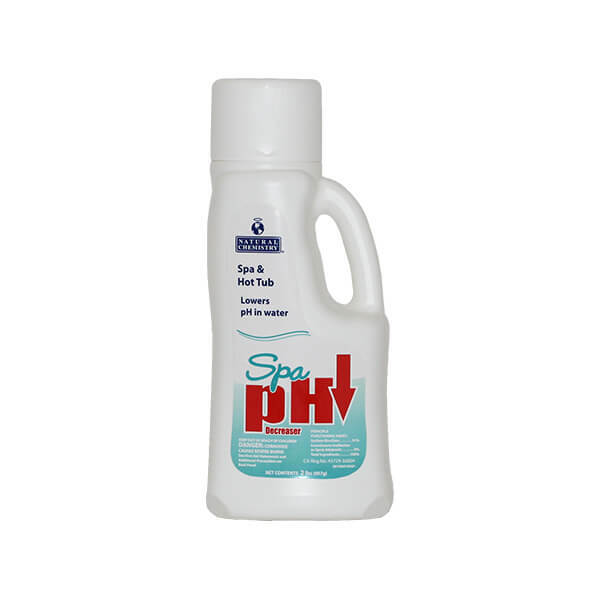 Natural Chemistry’s Spa pH Decreaser lowers the pH of water in spas. Spa water should be maintained between a pH of 7.2 and 7.6. When pH is too high (above 7.6), water becomes uncomfortable to bathers, sanitizers lose their efficiency, water may become cloudy and scale forms more readily.